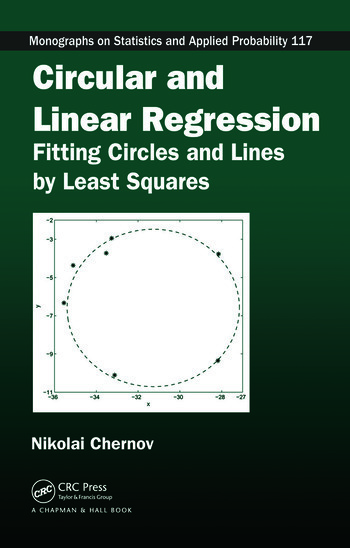 Exploring the recent achievements that have occurred since the mid-1990s, Circular and Linear Regression: Fitting Circles and Lines by Least Squares explains how to use modern algorithms to fit geometric contours (circles and circular arcs) to observed data in image processing and computer vision. 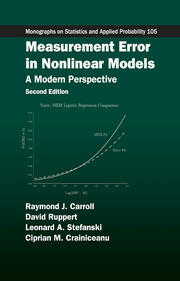 The author covers all facets—geometric, statistical, and computational—of the methods. He looks at how the numerical algorithms relate to one another through underlying ideas, compares the strengths and weaknesses of each algorithm, and illustrates how to combine the algorithms to achieve the best performance. After introducing errors-in-variables (EIV) regression analysis and its history, the book summarizes the solution of the linear EIV problem and highlights its main geometric and statistical properties. It next describes the theory of fitting circles by least squares, before focusing on practical geometric and algebraic circle fitting methods. 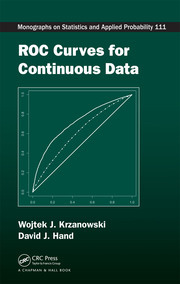 The text then covers the statistical analysis of curve and circle fitting methods. The last chapter presents a sample of "exotic" circle fits, including some mathematically sophisticated procedures that use complex numbers and conformal mappings of the complex plane. Essential for understanding the advantages and limitations of the practical schemes, this book thoroughly addresses the theoretical aspects of the fitting problem. It also identifies obscure issues that may be relevant in future research. Small noise and "moderate sample size"
Nikolai Chernov is a professor of mathematics at the University of Alabama at Birmingham. Overall, the book provides an excellent reference for those interested in the geometric, algebraic, and numerical aspects of fitting lines, curves, and circles to data. 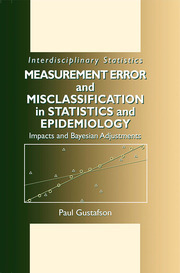 It gives an insightful discussion of the geometric and algebraic aspects of measurement error models and provides a thorough discussion of the various algorithms for fitting such models to data, by offering advice and comparisons concerning their strengths and weaknesses under different circumstances. … the book contains useful insights and will be of benefit to those interested in the theoretical aspects of fitting lines and circles to data. Some mathematical background is assumed by the author, but the book is written excellently and the exposition is clearly structured. The book is unique in the way that it has brought together a variety of topics into one volume of work. I would recommend that statisticians who are interested in measurement error models, and those who are interested in fitting circles to data (such as those working in computer vision) at the very least investigate this book.